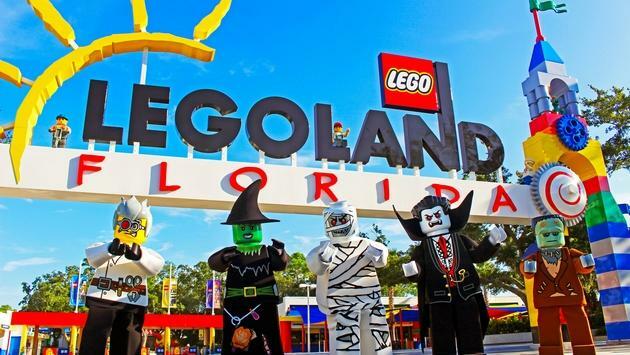 WHY IT RATES: Travel agents selling vacations to clients with families should consider LEGOLAND after even more attractions were added.—Donald Wood, Breaking News Senior Writer. Have you ever fancied a flight aboard a Triple Decker Couch? Aspired to ascend the heights of Cloud Cuckoo Land? Fantasized fighting against a DUPLO alien invasion? LEGOLAND Florida Resort delivers all this and more at THE LEGO MOVIE WORLD where guests can step into THE LEGO MOVIE universe and onto the streets of Bricksburg. —THE LEGO MOVIE Masters of Flight: Hop aboard Emmet’s Triple Decker Flying Couch! This flying theatre attraction whisks guests away on an action-packed adventure on a suspended ride with a full-dome virtual screen, giving the sensational feeling of flying alongside some familiar and some new faces like Sweet Mayhem, a character set to debut in the upcoming feature THE LEGO MOVIE 2: The Second Part. The one-of-a-kind experience is the first attraction at a major theme park in the United States that embeds a 180-degree turn in the ride experience. —Unikitty’s Disco Drop: Enter through the rainbow portal to join the fun with Unikitty and her many personalities. This ride swoops guests to the tiptop of Cloud Cuckoo Land, then drops, spins and bounces them back down to earth, creating a thrilling and fun experience. —Battle of Bricksburg: Calling all Master Builders! DUPLO® aliens have invaded Bricksburg to come and play! Riders are challenged to stop DUPLO® aliens from invading and stealing LEGO bricks by spraying water at targets. SOURCE: LEGOLAND Florida Resort press release.